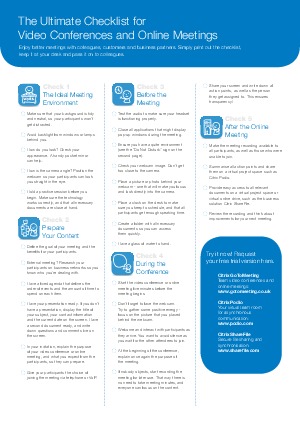 The meeting professionals from Citrix have put together 29 crucial tips based on their experience with thousands of online events. With this checklist, you’ll be prepared for everything. Just print it out, keep it on your desk and tick off the points as you go.